C major scale is one of the easiest scales to play on the keyboard. This is because it is constructed using only natural keys on the keyboard. Remember, natural keys are the white keys that are located on the keyboard of a piano, organ or any other similar keyboard instruments. The letters that make up this major scale are C D E F G A B C. Why this scale begins and ends with C? This is because a major scale is a group of eight notes beginning and ending with the same letter name. Learn to play the C major or any other major scale using the correct fingers for both the left and right hand. CLICK HERE NOW! It is always easy to learn melodies in the scale of C major. After all you are only using the white keys on the piano. 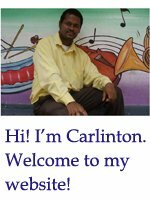 I have provided three simple melodies that you can learn in the key of C major. These melodies are -great for children who have just started piano lessons. However, adult who are just learning to play the piano can also participate in this lesson. I am sure that you will benefit from it. 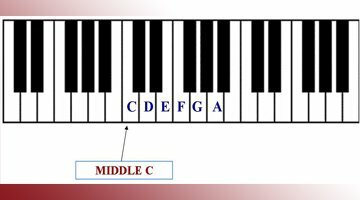 Use the keyboard diagram below to help you with the melody. Let’s get to-ge-ther and feel al-right. Use the keyboard diagram to help you with both melodies below. There are several simple melodies that can be played in the C major scale. However, it always good to be able play them in every key or scale. Leave the C major scale page and return to home page! TAKE A LOOK AT SOME OF OUR LESSONS ON PIANO SCALES!